We love having something healthy and convenient around when we feel like snacking These chips and dips are perfect! Hummus, Salsa, and Walnut Cilantro dip matched with our Italian Seasoned Chips are a yummy combo. All of our dips are raw vegan. Our chips can be made in the oven or dehydrator. We are flexible. Our dishes and methods change depending on what equipment and ingredients we have on hand. This is so easy. Just mix all of the chopped ingredients in a bowl. 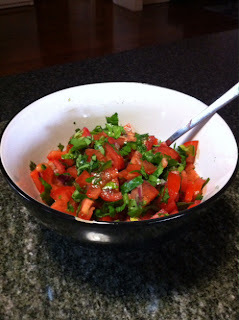 I prefer this over any salsa I’ve ever eaten, in fact I could eat this every day and be a happy girl. 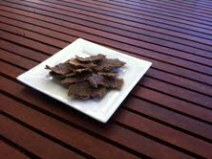 Enjoy in salads or with the buckwheat crackers below. 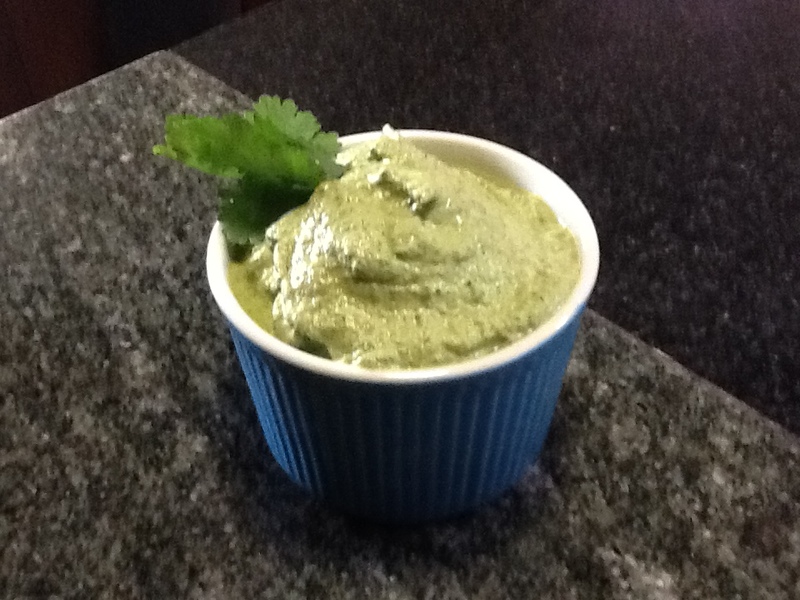 Blend until smooth and creamy... YUM! 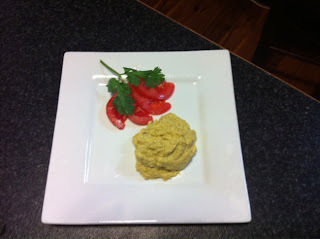 I had some left over chickpeas so I decided to sprout them and make some delicious hummus! Buckwheat can be hard to clear off all residue when you rinse, so I rinse it off three or four times. When the water runs clear we know it’s good to go! 1 cup of flax seed. It doesn’t matter to me too much if we use whole seeds or ground seeds, but we have read many times that ground flax is best to use because our bodies can digest the nutrients easier. 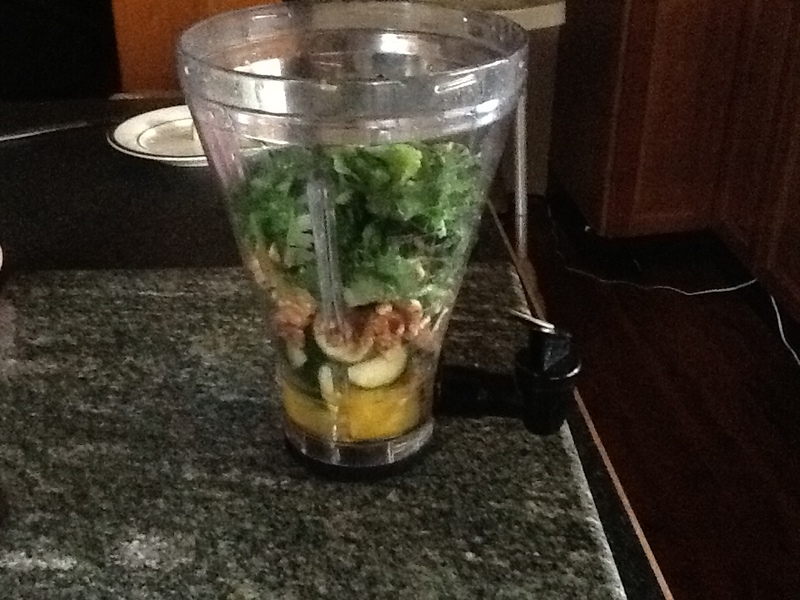 Blend everything except for the sprouted buckwheat and flax. Once you get a nice mixture going, add in the buckwheat. We usually pour in half and then blend, and then pour in the last of the buckwheat and blend. Your mixture should be very thick at this point. Taste it and add any seasoning if you like. Once everything is blended in, pour in a big mixing bowl and stir in flax. I find it is easier doing it this way than putting the flax in the blender. We are using a very old blender though. Lol it doesn’t even have a lid. So it might be easier for you to blend in the flax together with the rest in the blender, but it is easier for us to stir it in by hand in a mixing bowl. After it is all mixed together spread it onto dehydrator trays and set the temp at 115 degrees Fahrenheit and be prepared for it to take 12 to 20 hours, depending on how thick it is. 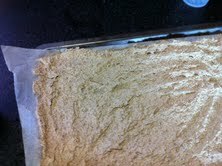 We have been using our oven since we don’t have a dehydrator at the moment. We set the temp at the lowest setting, (100 degrees Celsius–metric system since we are in Australia:) and after about one hour we flip them over. I cut them in half and place the middle part of the chips on the outside so the chips heat evenly. I then set the timer for another hour and check frequently. 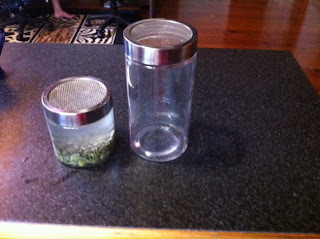 When the chips are light in color and crispy I remove them and place them in an air tight container. I also like to freeze half of them. These chips are great as croutons too! Enjoy!